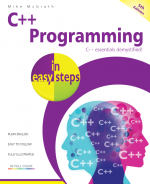 C++ Programming in easy steps, 5th Edition shows you how to program in the powerful C++ language. Now, in its fifth edition, this guide gives complete examples that illustrate each aspect with colourized source code. 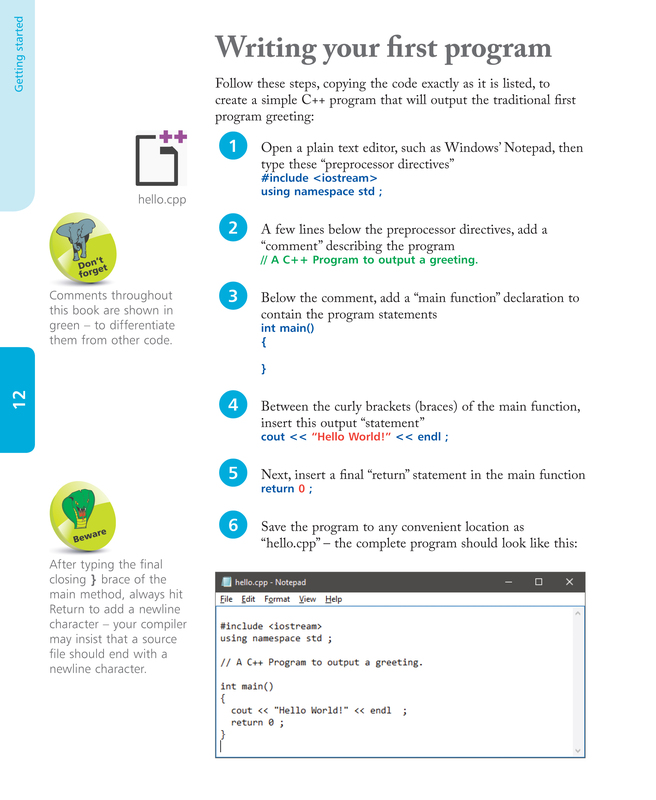 C++ Programming in easy steps, 5th Edition begins by explaining how to install a free C++ compiler so you can quickly begin to create your own executable programs by copying the book’s examples. 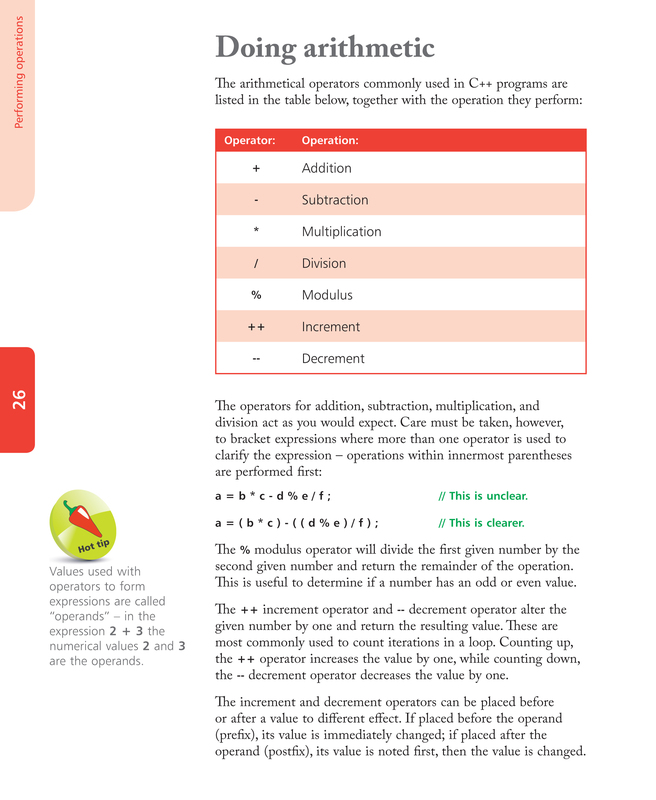 It demonstrates all the C++ language basics before moving on to provide examples of Object Oriented Programming (OOP). C++ is not platform-dependent, so programs can be created on any operating system. Most illustrations in this book depict output on the Windows operating system purely because it is the most widely used desktop platform. The examples can also be created on other platforms such as Linux or macOS. The book concludes by demonstrating how you can use your acquired knowledge to create programs graphically using a modern C++ Integrated Development Environment (IDE), such as Microsoft’s Visual Studio Community Edition. 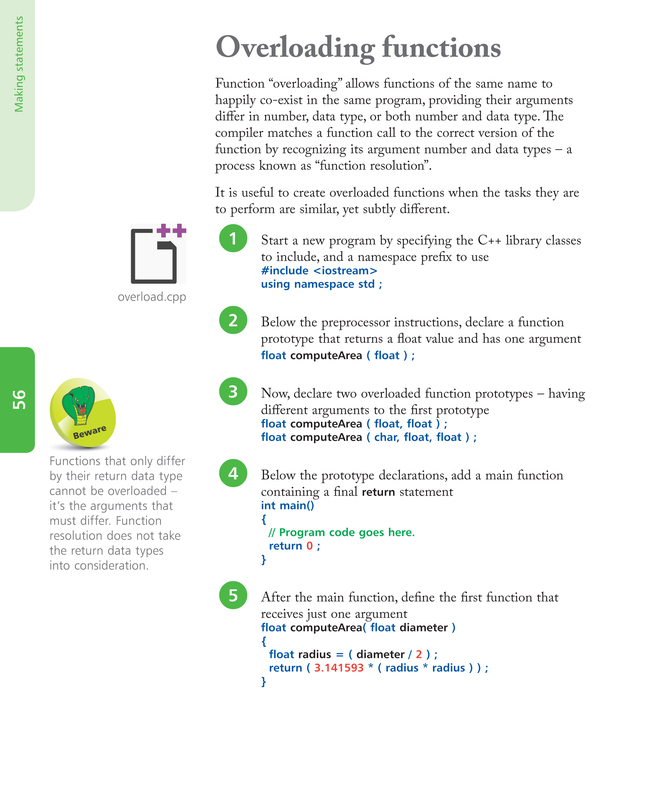 This book makes no assumption that you have previous knowledge of any programming language so it is suitable for the beginner to programming in C++, whether you know C or not.